The new elliptical cross trainer Skylon 6 is equipped with two basic training modes. In the speed-independent mode (Auto Mode), you set the Watt target value and pedal according to your rhythm. The brake system controls the resistance and adjusts automatically to the rhythm and the target values. In the speed-dependent mode, you choose the resistance (like a gear of a bike), pedal according to your rhythm, and the machine calculates the performed wattage. The computer always keeps the resistance constant in the speed-independent mode - no matter how fast you pedal. In the speed-dependent mode, the brake power always remains the same. That means that if you run quicker, you achieve a higher performance. 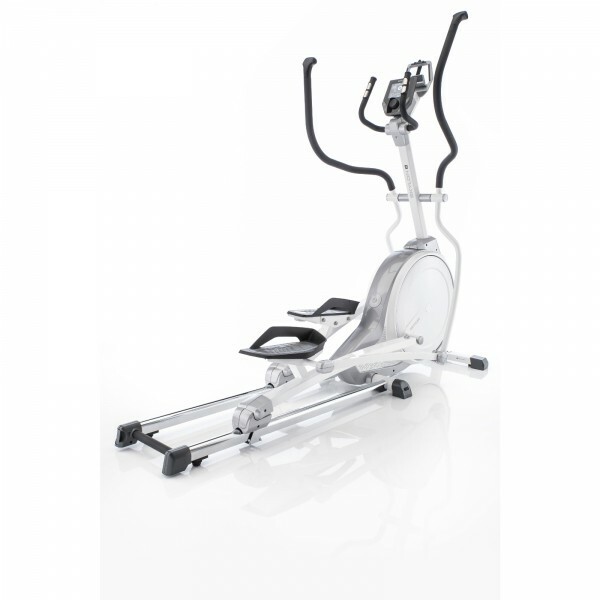 The Kettler elliptical cross trainer Skylon 6 is designed, developed, and made in Germany. The quality is reflected in many high-quality components and the careful handiwork. Double ball bearings on mobile parts of the balance mass, alignment ball bearings in the arms of the machine, and a stable frame make the Skylon 6 a sturdy and durable training machine. The induction brake comes without mechanic components and offers a resistance of up to 400 Watt. The induction field responds quickly to changes in the user modes and gives a direct feedback, when the resistance is adjusted. The folding system of the elliptical cross trainer allows to fold the Skylon 6 in few easy steps and store it space-efficiently in the training room. The Kettler Advanced display with LCD display has 10 training programmes and can save date of up to four users. In addition, it offers a guest profile. Four users can enter their data and - depending upon the selection of the respective profile - watch their last sessions and personal training range. The use is very easy and is quickly understood thanks to the central control. Seven languagees are available and can also be easily changed. Via KettMaps, available at the Apple or Google Play Store, you can cycle really shot routes and experience these interactively on youyr tablet or smartphone. La livraison a été longue, par contre très satisfait du produit. Qualité de construction, enregistrement sur clé USB des entraînements avec suivi de ceux-ci sur Internet. Top ! Der Skylon 6 ist ein besonders robustes und hervorragend verarbeitetes Gerät. Ich bin total begeistert. Der Trainingscomputer ist wirklich leicht zu bedienen. Ich kann das Gerät wirklich nur empfehelen. Der Kettler Skylon 6 besticht durch sein modernes Design. Die Verarbeitung des Gerätes ist sehr gut. Die Bedienung des Trainingscomputers ist kinderleicht. Für dieses Gerät gibt es von mir eine klare Kaufempfehlung. Zeer dergelijk apparaat. Veel instelmogelijkheden en een hogere weerstand als vergelijkbare apparaten. Bewust voor dit type gekozen na ervaringen met onze oude crosstrainer. * Heerlijk vlakke slag. * duidelijk display. * stabiel en super stil. Top apparaat en zeer goede keuze. Kettler Skylon 6 Ellipsentrainer am 23.01.2019 erworben. Sehr stabiler und ordentlich verarbeiteter Crosstrainer-Ellipsentrainer mit leicht zu bedienendem Computer und Programmeinstellungen. So macht das Heim- training Spass. 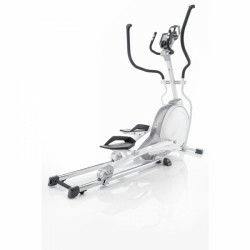 Kettler elliptical cross trainer Skylon 6 add to comparison list.